In fact it is a good book, very well written and punctuated with fascinating stories, though it does not provide brilliant insights. Its achievement is, rather, to remind the reader, and especially the left-of-center Western reader, of the astonishing achievement that is Israel and of the difficult challenges it faces. Denunciations of Israel are easy; Israel’s choices, Shavit says, were and are very, very hard. For this reason alone the book is valuable. Shavit’s own biases—he calls himself a left-wing journalist—do not diminish, but most likely broaden, the appeal of the book. Shavit’s own story is not unique in Israel, but it is rare: He is a descendant not of poor Eastern European Jews who fled pogroms or managed to survive the Nazis, nor of poor Sephardim who fled the Arab lands after 1948, but of a prosperous British lawyer named Herbert Bentwich who headed an Anglo-Jewish delegation that visited the Holy Land in 1897. 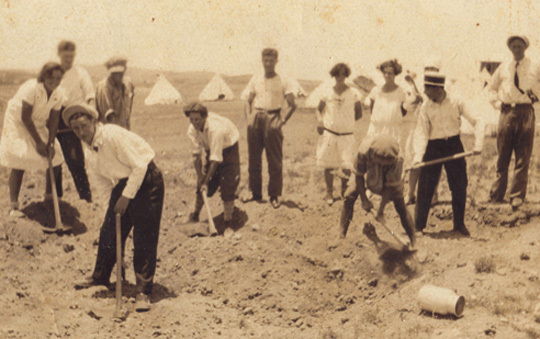 Under the inspiration of this brief, dramatic visit, in which he traveled from the port of Jaffa through late 19th-century Ottoman Palestine for 12 days, most of his children would make aliyah, with Bentwich following them in the 1920s. 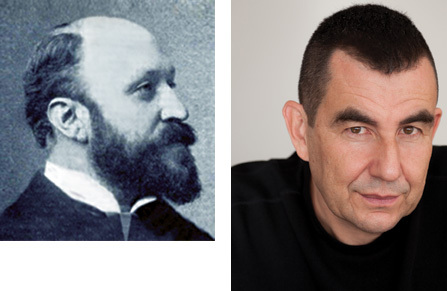 In the 1980s, after army service and university, his great-grandson Ari Shavit began to write in Israel’s leading left-of-center periodical, Ha’aretz, and once in what may be ours, The New York Review of Books. Shavit’s batting average isn’t worse than that of the average journalist-seer—it may even be better—but it is fair to note how often he has been wrong. And how often, in My Promised Land, apocalyptic language reappears. He writes of “the disintegration of the Israeli republic,” a “state in chaos and state of chaos,” of “core values disintegrated,” and a Zionist movement that has “gotten almost everything wrong in recent decades.” “Turmoil,” he says, “is inevitable.” Right or wrong, this kind of thing tends to lose its impact after a while. In this volume, however, Shavit is wrong on some things that cannot easily be dismissed, especially since the occupational hazard of writing newspaper columns under deadline is absent. One’s confidence in his scholarship, for instance, is shaken when he writes that, “in the latter part of the twentieth century, hundreds of thousands of Eastern European Jews immigrated to Great Britain.” This is simply untrue and even bizarre. Jewish refugees from Hitler totaled about 90,000 in the United Kingdom between 1930 and 1945, and in the last half of the 20th century the Jewish population there declined (as Shavit himself writes elsewhere in the book). In other cases he offers a value judgment that underlines the particular point he wishes to make but seems inaccurate. Thus, when he visits the small community of Karmei Yosef, which is in a lovely location halfway between Jerusalem and Tel Aviv, he writes that on this site of a former Palestinian village the inhabitants now “live a life of affluence” in “lavish homes.” I’ve been there. Americans would be struck by the gorgeous views but few would call the typical home there “lavish.” He’s stretching to make a point, and it forces one to wonder if there are other such stretches. Clearly, in Palestine as elsewhere in the Middle East, the modern inhabitants include among their ancestors those who lived in the country in antiquity. Equally obviously, the demographic mix was greatly modified over the centuries by migration, deportation, immigration, and settlement. This was particularly true in Palestine, where the population was transformed by such events as the Jewish rebellion against Rome and its suppression, the Arab conquest, the coming and going of the Crusaders, the devastation and resettlement of the coastlands by the Mamluk and Turkish regimes, and, from the late nineteenth century, by extensive migrations both within and from outside the region. 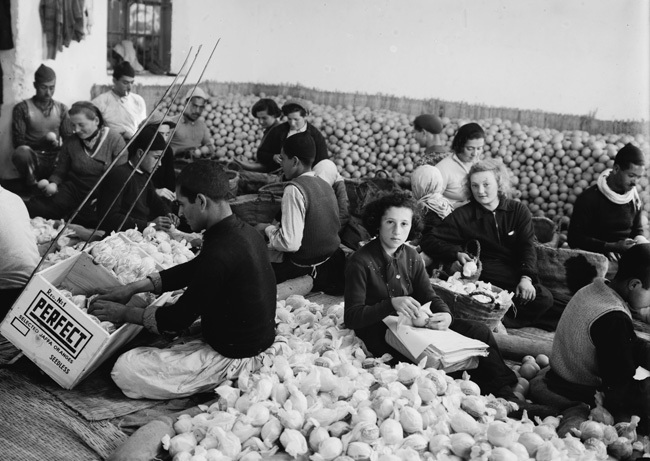 There are good arguments that the economic success of the Yishuv, the pre-state Zionist settlement, attracted many Arabs from what are now Syria, Lebanon, Jordan, and elsewhere who were looking for jobs and a better life. The Arab population of what is now Israel rose very quickly in the half-century before 1948, especially in the Mandatory period. The historical issues are complex, as are the political ones, and Shavit can not be expected to settle them, but he might have at least mentioned them, especially in a book whose main purpose is said to be the expression of his love for and defense of Zionism. In other cases Shavit uses historical material to make points that appear designed more to congratulate himself on his own courage than to achieve his stated goal of defending Israel and Zionism. A good example is his account of the “Lydda massacre” in 1948, a still controversial and in many ways very ugly episode during Israel’s War of Independence. It’s clear that the many thousands of Arab inhabitants of the town left their homes amid considerable violence and that many—scores, perhaps hundreds—were killed. The controversy is over whether this was a planned Israeli massacre, using lethal violence to drive the inhabitants out, or a terrible product of wartime violence and confusion. Shavit gives Lydda a long chapter but it is not a fair presentation. “Lydda is our black box,” he writes, “In it lies the dark secret of Zionism. The truth is that Zionism could not bear Lydda . . . If Lydda was to be, Zionism could not be. In retrospect it’s all too clear.” This is at best ahistorical; would there have been a “Lydda” in Shavit’s larger sense had the Arab states not decided to declare war on Israel and destroy the Jewish settlement there? In narrower terms, would there have been a “Lydda” had not its residents, who had surrendered to Zionist forces, been misled by false news of Jordanian military reinforcement into attacking the Israelis? The Lydda episode was complex and controversial, but not in My Promised Land. Shavit published his Lydda chapter in The New Yorker magazine in October, just before his book came out, which was an odd decision. If the book is meant as a celebration of Israel, however chastened and sober, why choose this chapter for a million American readers, few of whom will read the rest of the book? It was an ugly business. Such is history. How can what happened be justified? In November 1947, the leadership of Palestine’s Arabs had rejected the United Nations’ plan to partition the country into a Jewish and an Arab state—and instead launched attacks on the Yishuv . . . to prevent the emergence of the state of Israel. These attacks snowballed into full-scale civil war. In May 1948, the armies of Egypt, Syria, Jordan and Iraq invaded the country to support their Palestinian “brothers” (or simply to seize chunks of Palestine for themselves). It was three years after the Holocaust. For Israelis, it was a war for survival; had they lost, there would have been, they had no doubt, a vast slaughter. Eschewing the historical context Morris adduces, he basically accepts the Palestinian counter-narrative of the “naqba,” adopting a condemnation of Zionism itself, to which he then applauds himself for bravely remaining loyal. And yet, Shavit is not wrong when he calls himself a defender of Zionism or sees his book in that light. For he does take on many of the myths that Israel’s critics and enemies have propagated, and he does make the case for a Jewish homeland—and not only the case as it stood a century ago, but the case as it stands today. My Promised Land is a chronological tour, beginning with his great-grandfather Bentwich’s arrival in Jaffa in 1897 and describing the Palestine he found then. Chapter by chapter and decade by decade, Shavit takes us through the early years of the Yishuv, with its pioneers working under impossible conditions to plant a presence in harsh stony landscapes; then to the founding of the state, the incessant Arab attacks and terror, all of the wars, and the disillusionment that set in after 1973. He shows us the new Israel of the 1980s and 1990s, when a million Russians arrived, settlements began to expand in the West Bank, and the economy surged and millionaires and nightclubs began to appear. And he brings the reader to the present day and its challenges of peace with the Palestinians and Iranian nuclear weapons. the world’s most renowned violinist recognizes the importance of their endeavor by giving a concert in their remote quarry . . . the best that secular Jewish Diaspora civilization has produced is about to pay homage to their audacious attempt to create a new secular Jewish civilization in the valley. Heifetz is Heifetz, but he is also Jascha, one of us. One who rose from the misery and despair of the Jewish past . . . One who has escaped the hopelessness of Eastern Europe and chosen America. So when this brilliant cousin chooses to acknowledge his fellow young Jews who are escaping what he escaped in a very different way and in a very different place, even the toughest among the Labor Brigade comrades are beside themselves. Professor Ze’ev Sternhell tells Shavit of his life in 1941 in Poland: “Then came the Actions. The ghetto was liquidated in stages, and each time it was a different sort of hunt. I remember when we ourselves were hunted.” The writer Aharon Appelfeld tells him, “I heard the Germans torturing my beautiful mother. I heard my mother screaming. I heard the Germans murder my grandmother and my mother.” The jurist Aharon Barak tells him, “my first memory is of the Holocaust . . . I remember machine guns mowing down Jews. I remember the Jews of my hometown being murdered en masse by the Nazis.” Louise Aynachi is from Iraq, where an uncle was in parliament and her father was a government official. She tells Shavit that “On the holiday of Shavuot, hundreds of Jewish apartments were ruined and hundreds of Jewish businesses looted. Torah books were violated, synagogues burned. Altogether, seven hundred Jews were wounded and one hundred and eighty murdered . . . Women were raped, infants killed.” Shavit interviews an elderly acquaintance named Anna Spiegel, of whom he writes that she “was born in the Carpathian Russian town of Svalava in 1918. When the Germans invaded in the spring of 1944 she was a twenty-six-year-old beauty. A knock on the door, a yellow Jewish star, the herding of Jews into the local brick factory”—then Auschwitz. It is a human catastrophe on a scale not seen since the Middle Ages. It is a Jewish catastrophe on a scale not experienced since the destruction of the Second Temple. And it is a Zionist catastrophe unlike any other. . . . Gone are the great Jewish masses that Zionism was designed to save. . . . For even if Hitler is defeated, he might still leave behind him a defeated Jewish people. With no Eastern European demographic backbone, Zionism becomes a bridgehead that no reinforcements will ever cross, protect, or hold. But [the Zionist leaders] turn disaster into mission. In the first three and half years of the newly founded state . . . the number of immigrants (685,000) surpassed the number of those absorbing them (655,000), a percentage comparable to what would happen if twenty-first-century America took in 350 million immigrants in three and a half years. only when I turned thirty and began listening seriously to what Palestinians were actually saying did I realize that the promise of peace was unfounded. It played a vital moral role in our lives, but it had no empirical basis. The Jewish state does not resemble any other nation. What this nation has to offer is not security or well-being or peace of mind. What it has to offer is the intensity of life on the edge. The adrenaline rush of living dangerously, living lustfully, living to the extreme. If a Vesuvius-like volcano were to erupt tonight and end our Pompeii, this is what it will petrify: a living people. This celebration of the actually existing Israel is what is most valuable about My Promised Land. In the final chapter, Shavit abandons the politics and the prophecy and writes as a citizen and a father. He lays down his pen and looks in amazement and appreciation at the society around him. Elliott Abrams is currently senior fellow for Middle Eastern studies at the Council on Foreign Relations. He served as deputy assistant to the president and deputy national security adviser in the administration of President George W. Bush. He is the author, most recently, of Tested by Zion: The Bush Administration and the Israeli-Palestinian Conflict (Cambridge University Press). Hank Greenberg & Neo-Orthodoxy, or Non-Orthodoxy? The super sad truth about Gary Shteyngart's new novel.